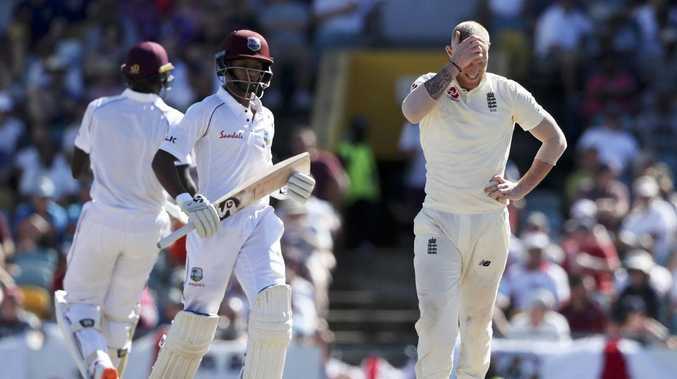 AN OUTSTANDING double hundred from West Indies captain Jason Holder and a supporting century by Shane Dowrich left England humbled for the second day in a row and battling to avoid a huge defeat in the first Test. Just 24 hours after England was skittled for 77, Holder piled on the misery with 202 not out as his side amassed 6-415 declared in its second innings on day three to set England a notional winning target of 628. Keaton Jennings and Rory Burns safely made their way to the close on 56-0, but with two days remaining their efforts represented the tip of the iceberg for Joe Root's beleaguered side. 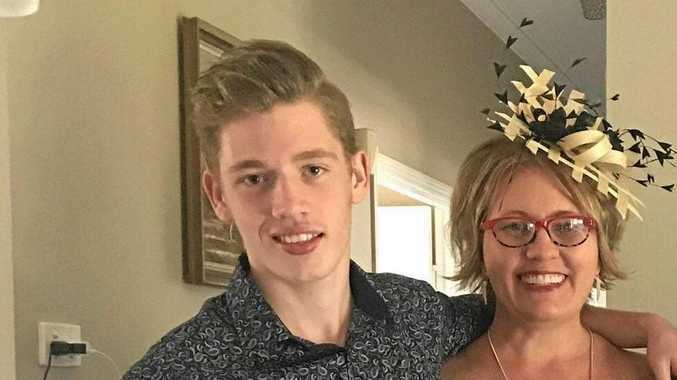 Holder hit 23 fours and eight sixes as he relentlessly punished a listless attack and proved himself an impostor in the lowly position of number eight. "I was ecstatic. It was a dream come true. We are very confident. England are still a long way off. With a bit of variable bounce, there are still a lot of things in our favoUr. Maybe we can wrap it up by tea." Only two players in the history of cricket have scored more from that position in the batting order, Wasim Akram and Imtiaz Ahmed, and Holder's 295-run stand with Dowrich (116 not out) was the third largest that Test cricket has produced for the seventh wicket. Holder produced a vibrant, beaming celebration when he reached 200 by thumping part-time seamer Jennings into the leg-side, and his prompt declaration left England 20 overs to bat before stumps. In the short term all focus will be trained on batting for six full sessions to claim a draw, but beyond that there are questions over the make-up of the England team and the condition of James Anderson and Ben Stokes. The pair sent down almost 100 overs between them and looked weary as they trudged off in Holder and Dowrich's slipstream. 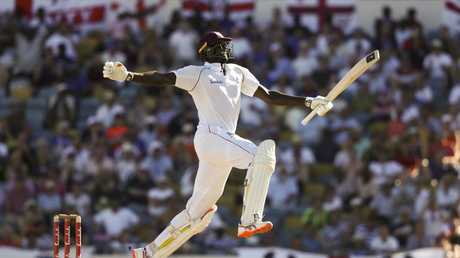 Holder raced to his third Test hundred in 99 balls, accelerating with a pair of sixes off the struggling Adil Rashid. West Indies' captain Jason Holder celebrates after scoring a double century. England captain Joe Root at one stage resorted to bowling at leg stump from around the wicket as England's enthusiasm waned. Root's disposition was not helped when Holder survived two half-chances on 127 and 151, Burns and Ben Foakes making game attempts at two very tough chances but coming up short. Anderson took the second new ball with more resignation than relish and it fared little better than the old one. Dowrich slowed as he approached his hundred but brought up the 200 partnership in style as he drove the veteran paceman down the ground showing the full face of his bat. A punch through point off Moeen Ali allowed Dowrich to take the spotlight from Holder for a moment in honour of his third century at this level, but it soon returned to the skipper. The sight of Jennings' part-time medium pace must have been a welcome one as Holder faced up on 198 and one swing of the arms later he was walking off to rich and deserved acclaim. 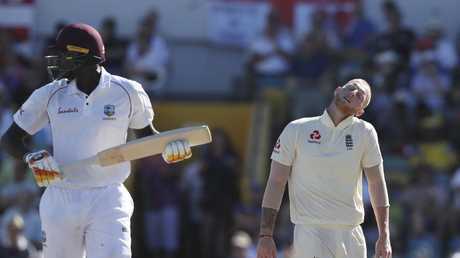 England, set a massive target of 628 to win the opening Test of the series, were 0-56 at stumps on day three, a tidy start but still facing the daunting prospect of surviving two more days in Bridgetown. Ben Stokes and Jimmy Anderson had a heavy workload for England. After 18 wickets fell on Thursday, there were none on Friday in a remarkable turn around of fortunes for both teams on a Kensington Oval pitch that did not seem to have changed much overnight.